Every year we pull out all of our Christmas decorations, and put away some of the regular decorations until Christmas is over. However, there are actually quite a few decorations that we already have in our homes that, with just a simple update, can also make beautiful Christmas decorations! Take a plain lantern for instance. Not quite what you think of as Christmas decor, right? 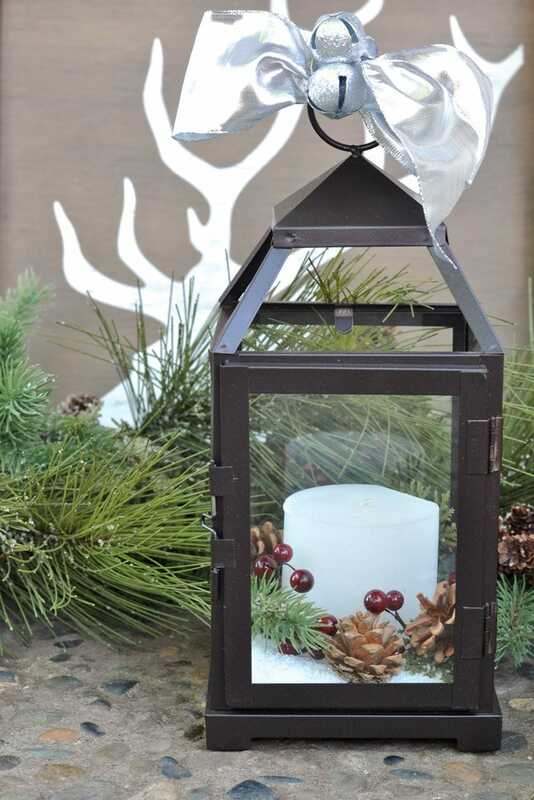 But with just a few simple supplies, you can turn that plain lantern into a gorgeous Christmas lantern decoration! The best part is that you can switch up your lantern every season, so that it can stay out year around. 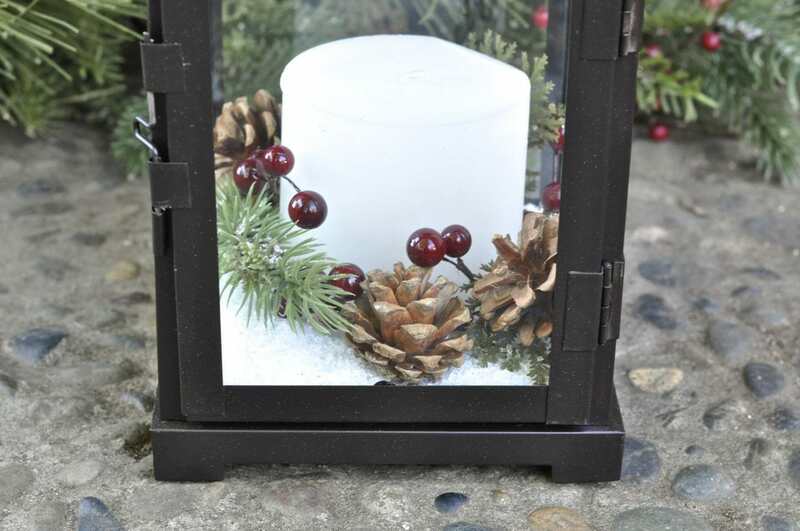 This week I shared how I updated a simple lantern and white candle to make it Christmas ready. So simple! You can check out the full tutorial on Live. Craft. Love. Happy crafting! We’re finishing up the rest of the Christmas decorating this weekend. Are all your decorations already out?